Briefly mentioned last week, Oaks and Spokes is a festival celebrating cycling in Raleigh. 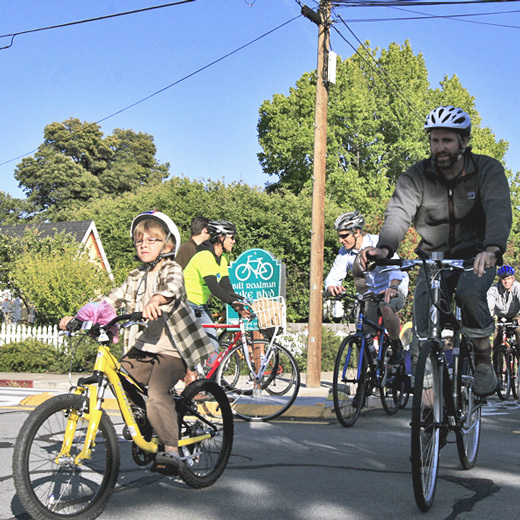 Events, mostly geared towards adults, have taken place all week, but on Sunday the kids will take over for a the “Kidical Mass” ride through historic Oakwood and Mordecai. The event will kick off on Sunday at 10am at the Oak City Cycling Project, but the ride won’t start until 11:30am. Kids old and skilled enough to ride alone are encouraged to do so, with the watchful parents riding along. Two loops are planned through Mordecai and Oakwook, and you can expect to be done by 1pm. The weather should also get better, with Sunday clear and in the 60s. This entry was posted in Action, Active, Outdoors, Parade, Sports by daddyweekly. Bookmark the permalink.